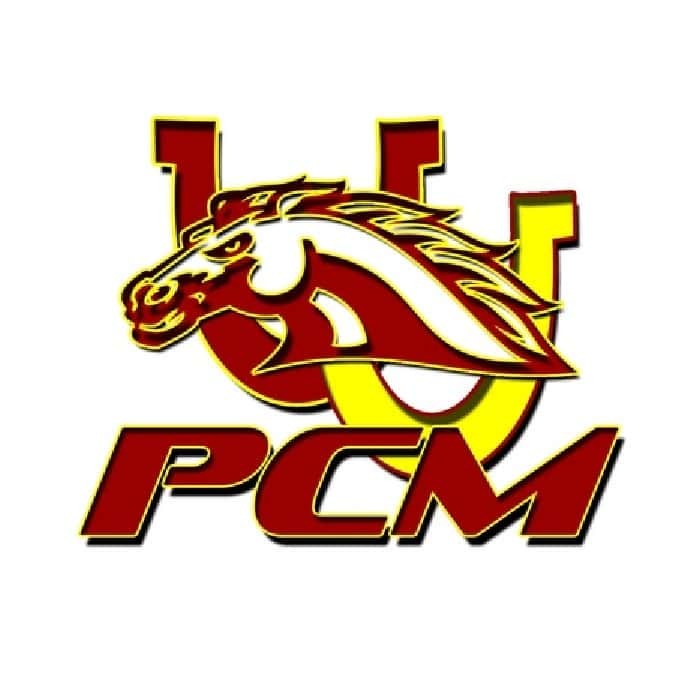 Just days after clinching a program’s first state dual appearance, the PCM wrestling team let the good times roll into Saturday with seven wrestlers qualifying for individual state and the Mustangs claiming a district title. PCM won the district at Knoxville with 114 points while Carlisle was second with 94. First place winners included Colby Tool at 145lbs, Wes Cummings at 160lbs, and Lucas Roland at 182lbs. Also advancing with second place finishes included Landon Fenton at 113lbs, Payton Drake at 120lbs, Cody Wallace at 152lbs, and Jarron Trausch at 170lbs. Other Mustangs competing were Jace Smith third at 285lbs and Seth Greiner fourth at 220lbs. Brian Nicholson was a late scratch at 126lbs due to injury so Knoxville’s Gabe Gordon replaced him and placed fourth. The state individual tournament gets underway Thursday at Wells Fargo Arena in Des Moines. The #6 Mustangs compete in the dual tournament on Wednesday starting with #3 Osage in the quarterfinals. KNIA and KRLS will have live updates throughout the week.